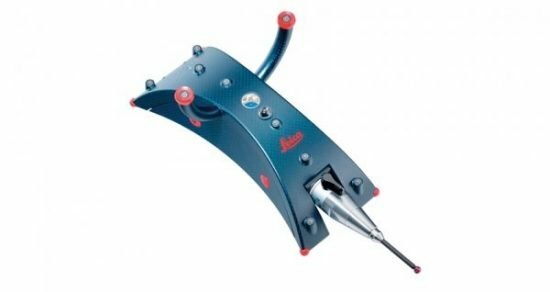 Paul Horn GmbH uses additive manufacturing to produce its own tools, particularly when making prototypes, special tools and tool holders. 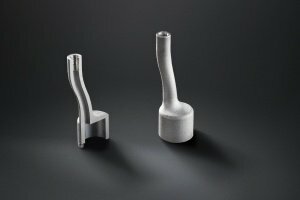 Having recognised the advanced possibilities offered by additive manufacturing, Horn is now making these available to its customers and partners as well. To facilitate this step into the future, Horn is creating a new “Additive Manufacturing” production area. This department is closely linked to mechanical production and powder analysis as well as quality assurance. Horn is using a process called SLM (selective laser melting), a powder bed process that also goes by the name of direct metal laser sintering. In this technique, the metal powder is applied to a lowerable platform in layers and then the relevant area is targeted and melted by the laser. This process is repeated until the required component height has been achieved. The only materials being used by Horn for the time being are aluminium (AlSi10Mg) and stainless steel (1.4404). However, other materials are currently being tested. The maximum build area is 300 x 300 x 300 mm (11.811 x 11.811 x 11.811″). As Horn keeps all the production stages in-house, it is able to respond to customer requirements directly. The parts are produced in various designs according to customers’ wishes. Horn also helps customers to choose a structure that is compatible with the SLM method and to select appropriate powder-based parameters. Depending on what customers require, Horn can produce everything from unfinished and semi-finished products right through to the finished component. Further advantages are the ability to make use of the available machinery and appropriate measuring equipment. Images 1 and 2: Components that can be produced using the additive manufacturing method. In time for EuroBLECH 2018, Bystronic is systematically driving forward the vision of “World Class Manufacturing”. This is based on a comprehensive range of new products and services with which Bystronic is gearing its users’ process landscape towards networked production. 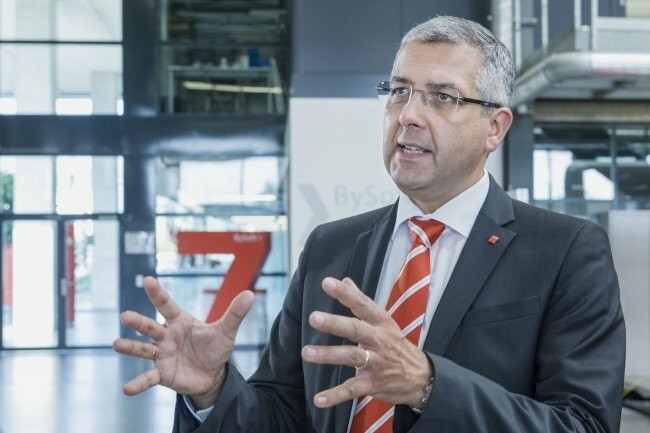 “We accompany our customers step by step on the path to the smart factory,” explained Bystronic CEO Alex Waser. 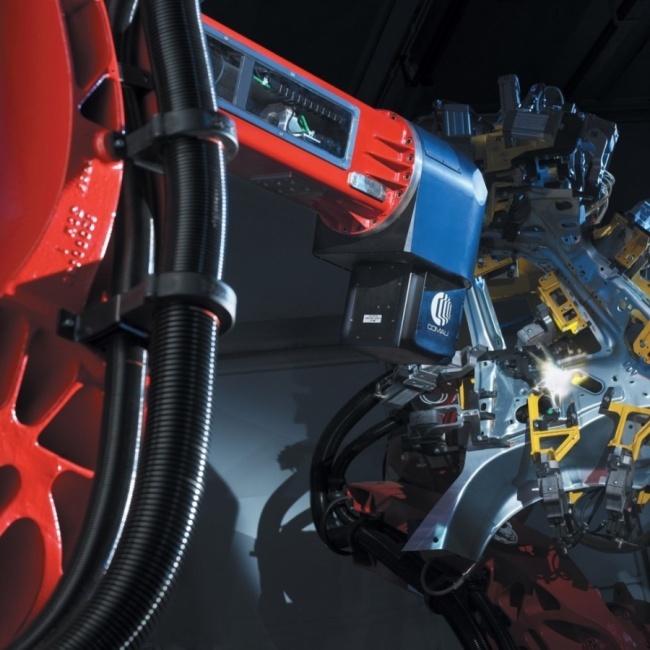 With “World Class Manufacturing”, Bystronic has described the matching supporting programme as one that features innovative solutions that go far beyond the conventional idea of a machine tool. It’s about fusing the individual processes relating to laser cutting and bending into a network of intelligent components, said Mr. Waser. Users can thus achieve a higher degree of flexibility and transparency in their production environment. Both are important prerequisites in order to manufacture products faster, more cost-effectively, and more intelligently than ever before. In future, thanks to new software solutions, users will be able to create quotes more rapidly, plan their production processes in an efficient manner, and make the best possible use of their resources. Live monitoring systems represent an additional building block. They provide users with real-time information about the running processing steps from their production environment. All this will result in the optimisation of costs and processes. And this in turn, is the prerequisite for growth and sustainable competitive success. The integrated automation of production steps is another key success factor. To achieve this, Bystronic uses modular solutions for the material handling in the field of laser cutting. Automation systems that grow with the customers’ requirements and with increasing laser output. In the field of bending, the company is driving forward the development of flexible automation modules that enable fast transitions between automated and manual manufacturing. 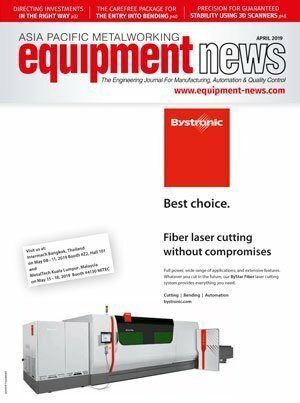 Service remains another key issue for Bystronic. Within the networked production environment, network steps are interdependent. This makes process reliability and the preventive maintenance of all integrated systems more critical than ever before. New service solutions help users increase the efficiency and process quality of their production. 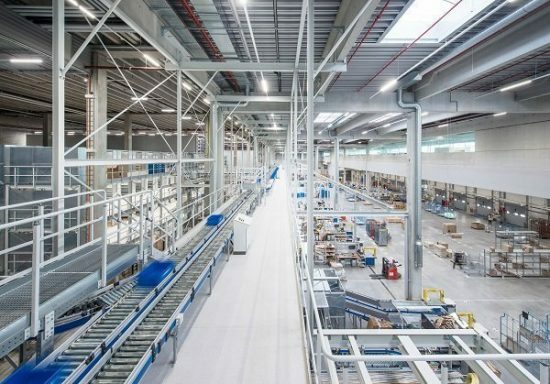 Ditzingen, Germany: Industrial machine tool and lasers for manufacturer Trumpf recently opened a new logistics centre at its headquarters in Ditzingen at an official ceremony attended by some 200 invited guests and Nicole Hoffmeister-Kraut, Baden-Württemberg’s Minister of Economic Affairs. 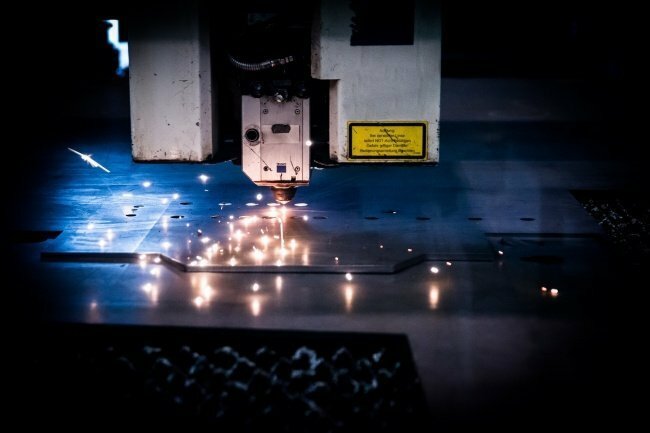 Laser applications have been increasing in use as they support lightweight designs. By Dr Torsten Scheller, global director of technology, product management, and research and development, Jenoptik. As time goes on, the advances of water jetting continues to happen especially in the case of accuracy and more industries are seeing its viability in the market for faster, more accurate cuts, Syed Shah explains. The T-Probe has a feature which automatically re-establishes interrupted line of sight, allowing users to work freely without having to regularly stop and relocate the beam, resulting in less downtime. The measurement tool comes in various styli lengths, and can gather data in hard-to-reach places without the need for direct line of sight. The laser tracker can be set in a specific position to measure within a spherical volume of up to 40 m using the T-Probe, which helps to ensure accuracy, maintain data integrity and save time. As time goes on, the advances of water jetting continues to happen especially in the case of accuracy and more industries are seeing its viability in the market for faster, more accurate cuts. Syed Shah explains. Waterjet cutting has long been making inroads into every area of manufacturing and engineering. 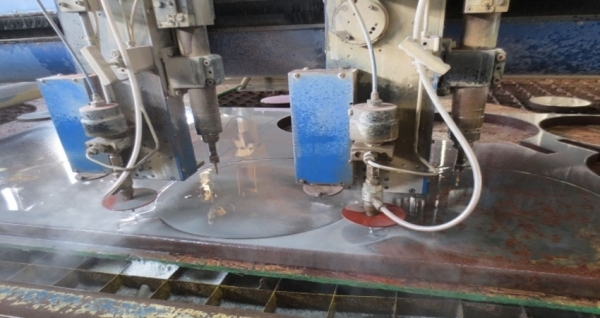 New materials often demand waterjet cutting – in fact it is pretty much the standard in many production lines now. 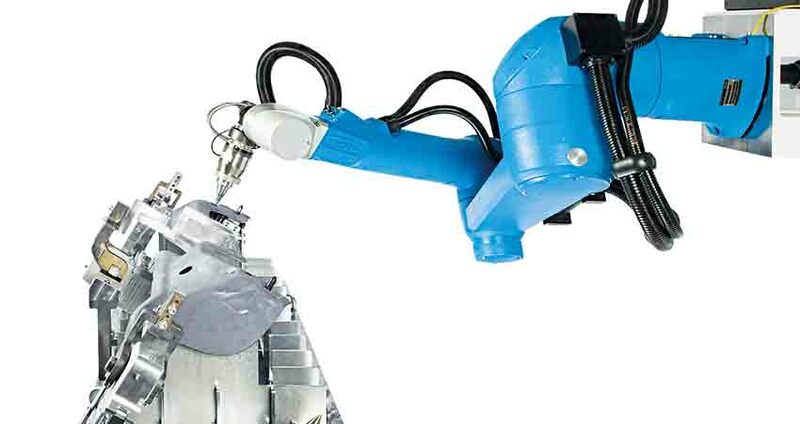 With single and multiple head five-axis waterjet cutting available on a single machine, the technology is now one that is accessible, and it would literally be competitive disadvantage to not be in possession of it. Waterjet is opening doors – forgings are being replaced with parts nested into sheet material effortlessly cut into the most complex of shapes. Castings are being scanned and flashing trimmed, eliminating multiple tedious steps and labour. Near net shape cutting of everything from complex blades to helical rack and pinion to accurate cutting of composites, laminates of high nickel alloys, glass and phenolics, plastics, ceramics, armour plating of most every make and composition are easy. And this is no longer limited to flat, plane cutting. If you can imagine it, waterjet can probably be used to cut it. The principles of waterjet cutting are fairly simple. In a nutshell, water at pressure of 60,000 psi or more is channelled to a cutting head through sheathed, 0.25” diameter autofrataged stainless steel tubing that in short lengths is not flexible. Abrasive is fed to the cutting head where the water pressure, as it transitions from potential energy to kinetic energy, accelerates the abrasive grains to over 2,200 miles per hour in a nozzle that is 3” long. In years past, when multi-dimensional water-jetting was new, the understanding was that there would be a sacrifice in tolerances. This is no longer the case. 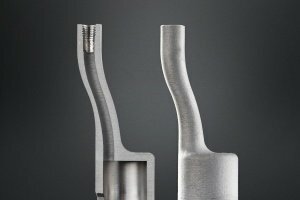 With advances in engineering of the nozzles and orifices used, the width of the waterjet stream is now predictable to 0.0005”, allowing manufacturers to support demands for precision five-axis parts. Key to creating an accurate five-axis mechanism is the ability to measure the results. As such, a 3D spatial laser tracker is employed to measure the actual mechanisms and correct for any ‘real world’ inaccuracies that crop up in the manufacturing processes or from material properties. 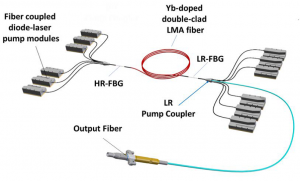 Standard laser interferometers are incapable of measuring all of the parts once they are assembled and operating in space. Once a final mechanism is measured, the data can be used to electronically compensate, on the fly, for any repeatable errors that occur, pushing the envelope on accuracy to new bounds. Imagine your finger is the nozzle in a cutting head. Now wave it around and notice how flexible your wrist, elbow and shoulder are, not to mention the muscles as they twist and flex. So how do you get high pressure water bolted to a fixed position on the face of the Z carriage to the fixed position of the cutting head mounted on the other end of an ‘arm’ that twists, spirals and rotates? Any additional forces generated in flexing the high-pressure tubing will typically cause variations in positional and repeatable tolerances. Coiling the high-pressure tubing to reduce these forces normally shows unacceptable results in laser tracking. By directing the high-pressure tubing through the centre of rotary actuators, it is possible to virtually eliminate varying torsion, sheer and moment loads on the cutting head. The combination of swivels and routing the 0.25” high-pressure tubing means no coiling is necessary. There is no wind up of the high-pressure tubing often associated with five-axis waterjet cutting and lengths of the high-pressure tubing are short. All high pressure tubing eventually fatigues and fails, releasing high-pressure water from hairline fractures. It is important to design a mechanism that fails in a safe manner and is easily repaired. The abrasive, which is typically garnet ranging from 150 to 50 mesh, is fed into the waterjet stream 3 to 4 inches above the tip of the nozzle. There is a way to direct the abrasive through the middle of the actuator without any wind up of the 3/8” abrasive resistant hose. This reduces the length of the path the abrasive travels from the mini hopper to the cutting head. An ingenious swivel system allows the abrasive to be passed through the centre of the motor, collected and directed back into a flexible hose. The result is seamless delivery of garnet to the cutting head no matter what the cutting head position or angle of attack. Bulky tubing and awkward mechanisms subject to pinching, clogs and blockages are reduced into a simple straight path from abrasive hopper to cutting head. Any five-axis programming revolves around a common mandate that the part does not change position while cutting. Fixturing for a five-axis mill is often substantial to ensure the part does not move. In waterjet cutting, one has to presume materials will move through the redistribution of stresses as material is cut. A spring assisted, self-locating crash sensor has a low voltage signal passed through the foot which when interrupted detects a crash. The height sensor is pneumatically controlled and can take periodic samples of the location of the material or continuously ride on the material. The analog feedback allows adjustments to be registered and responded to. What is most impressive is the height and crash sensor can be deployed to work while the head is cutting at angles approaching 50 degrees off the vertical.